Step into the home of one of the newer games found in casinos both online and in the real world – 3 Card Poker. In spite of being a relative newcomer when compared to the likes of blackjack and baccarat, it is already one of the most popular casino games and ranks among the top ten most-played casino games in the world. If you want to play right away, you’ve come to the right place. The game below fully recreates the experience of playing 3 Card Poker online and is free to play. If you want to play for real money, we’ve handpicked the top sites in which you can play this form of casino poker in the table further down the page. All these sites offer both free and real money versions for you to enjoy. Our aim is to provide the most up-to-date information about 3 Card Poker. With optimal strategy, rules and odds all covered, we like to keep an eye on both the online and off-line environment for our readers. 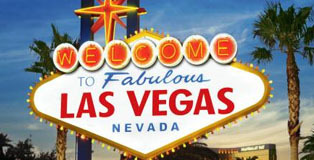 We also have a dedicated guide for those visiting the gambling hotspots of Las Vegas and Atlantic City. Online casino fans can also check out the sites mentioned throughout our site for recommendations on the best places to play, based on their country of residence. Further down on the left side bar you can find information about other popular casino poker games which are available both online and offline, with 4 Card Poker being the exception as this is only available for real money offline. Searches for reputable sites that offer 4 Card Poker came up empty-handed and we have contacted many gambling/gaming software developers in the hope of seeing it offered online – we encourage 4 Card Poker fans to do the same. 3 Card Poker is the most exciting and successful table game invented in the past century. While games like roulette, blackjack and craps may be better known, players flock to 3 Card Poker because it is easy to learn and easy to play. There are over 1,800 3 Card Poker tables found in casinos around the world and the success of the game has much to do with the personality and persistence of the man responsible for its introduction to the casinos. The game of 3 Card Poker was invented by Englishman Derek Webb, a professional poker player who thought a game that combined the excitement of poker with the speed of regular casino games would be a hit. Using a Standard English deck of 52 cards, the game pits each player’s three card hand against the dealer’s and includes a bonus pay-off up to 50-1 on a mini-royal hand of suited Ace-King-Queen. Webb worked on his game idea for several months, striving to keep the rules easy, the payoffs large, and the house percentage reasonable enough to get casino owners interested in housing his game. Originally marketed as Brit-Brag, and then Casino Brag, Webb tested the waters in 1994 after applying for patents in Great Britain and the United States. His marketing was done under the name Prime Table Games, but the British Casino Association (now known as National Casino Industry Forum) suggested that he first try gaining experience in the United States. As United Kingdom gaming regulations did not permit a table game such as 3 Card Poker, the regulators were reluctant to make substantial changes to their rules and regulations for an unproven game. 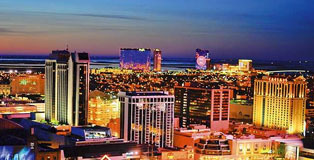 After meeting with casino owners in Reno, Las Vegas and Atlantic City, Webb finally convinced Barry Morris, Vice President of Grand Casino, Gulfport (Mississippi), to allow a trial on the casino floor. The 3.5 per cent house edge was just right as far as Morris was concerned, but it was Webb who made his most important decision upon gaining Morris’s trust as he promised to train the casino’s dealers at no cost. Instead of getting the trial started and leaving, Webb stayed at the property and trained the dealers in the finer points of dealing the game. He then stood by the table for hours each day, convincing players to try the game and teaching them the simple rules of play. Webb had a great time introducing his game to new players as he joked with them and explained the finer points of play. 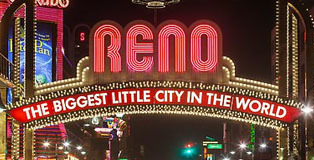 The players loved him and the game and, with this successful start under his belt, Webb convinced two casinos in Las Vegas and Reno, Nevada, to allow his game a field trial. Again, Webb spent hours training the dealers and pushing the game on the casino floor. Players found the game to be fun, easy, and often filled with big pay-outs. The trip to the United States had originally been nothing more than a chance to get a game or two on trial and gather the stats for the United Kingdom regulators. Instead the game was so popular that competing casinos in many cities fought for a chance to have Webb bring his game to their properties next. The game became so popular so fast that Webb couldn’t keep up with the expansion of his business. In addition, he was hit with a lawsuit filed by Progressive Games Inc. citing patent infringement. Under the stress and demands of marketing the new game and the lawsuit, Webb met with Joseph Lahti, President of Shufflemaster (think shuffle machines and Let it Ride), who offered to help defend Webb’s original patent claims in court. Lahti also offered Webb $3 million for the rights to 3 Card Poker. He took the deal, retained certain rights and agreed to be the principle salesman for the game, but did give Shufflemaster the rights to the game outside the British Isles. The continued success of the game forced United Kingdom regulators to finally allow the introduction of 3 Card Poker in 2002. At the same time, Webb counter-sued Progressive Games Inc., claiming their lawsuit forced him to sell his intellectual property at a lower price than it was worth. Progressive settled out of court and paid Webb $20 million, while the success of 3 Card Poker helped make Shufflemaster a ton of money in monthly licensing fees. Today, Webb defines his success as knowing “when people walk into a casino, mine is the game they want to play.” An inventor can’t do any better than that! Many users have contacted us saying they couldn’t find 3 Card Poker when they visited certain casinos, which is a common problem for the following reason. Gambling and gaming software developers develop casino games that are bundled into a package (called a platform) which is used by the various gambling sites. 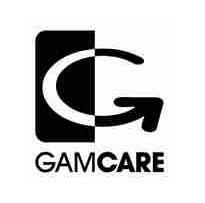 Popular software developers include Realtime Gaming, Microgaming, Playtech and Net Entertainment. Because many of the gambling games are trademarked and developers operate in different jurisdictions we see them developed under different names, such as Cyberstud Poker for Caribbean Stud. The play is exactly the same and only the name is different to protect the developer from infringement. In the case of 3 Card Poker you will see it listed as Tri Card Poker on Realtime Gaming and Trey Poker at Net Entertainment sites. It is important to note this and remember the name is the only difference – the play, rules and odds are all the same. Many casino games are now played out in tournament format. Poker, slots and blackjack all have hugely popular tournaments that are played both online and in bricks and mortar casinos. 3 Card Poker is a newer arrival on the tournament scene. While these tournaments are not yet played online, they are offered by a number of real world casinos in the USA, including the Vegas Hilton in Las Vegas and Sam’s Town Hotel & Casino in Tunica. With the ever-increasing popularity of the game, tournaments are sure to become more popular in Vegas, Reno, and Tunica and further afield, as well as on online casino sites. Wikipedia is a great source of information about almost any topic. Their 3 Card Poker page is the top ranked site on Google. You can view it here.